On Monday, February 26, 2018 officers responded to a reported bank robbery at Alive Credit Union in the 3000 block of Lenox Avenue. Investigation revealed that the suspect entered the bank at approximately 5:00 p.m. and presented a note to the teller demanding money and making threats. The employee complied with the demands and the suspect fled the area. The suspect is described as a black female approximately 40-50 years old, 5’6...”-5’7” tall and 170-180 pounds. She was said to have short hair and was wearing glasses. It is believed at this time, the suspect arrived and departed in the pictured white sedan type vehicle. 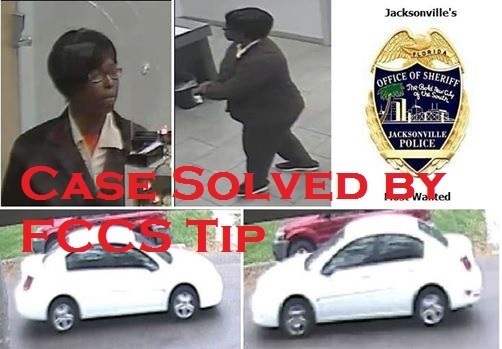 This case was solved by a FCCS Tip. 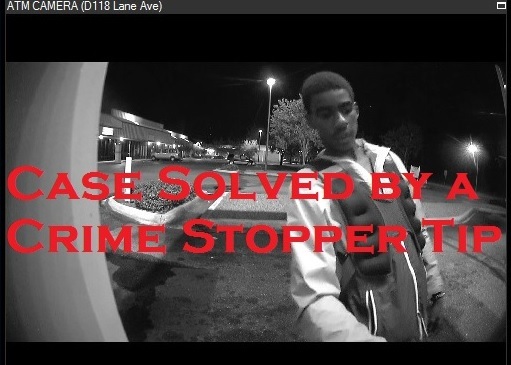 On Monday, October 16, 2017 at 2:45 a.m. an armed robbery occurred at 1171 S. Lane Avenue. The victim told police she parked her vehicle and got out when she was approached from behind by a young black male suspect wearing a yellow windbreaker. The unknown suspect pointed a handgun at her and demanded money, her wallet, and her pin number. The suspect got into a white minivan and fled the scene. It was determined that the suspect drove to a nearby ATM and withdrew cash from the victim's account. Photos have since been obtained of the unknown suspect at an ATM. On Monday, September 18, 2017 at 10:15 a.m. an armed robbery occurred at Sweeps Royale located at 5500 Normandy Boulevard. An unknown suspect walked into the business and demanded money holding a black gun. The suspect received money and fled the business. 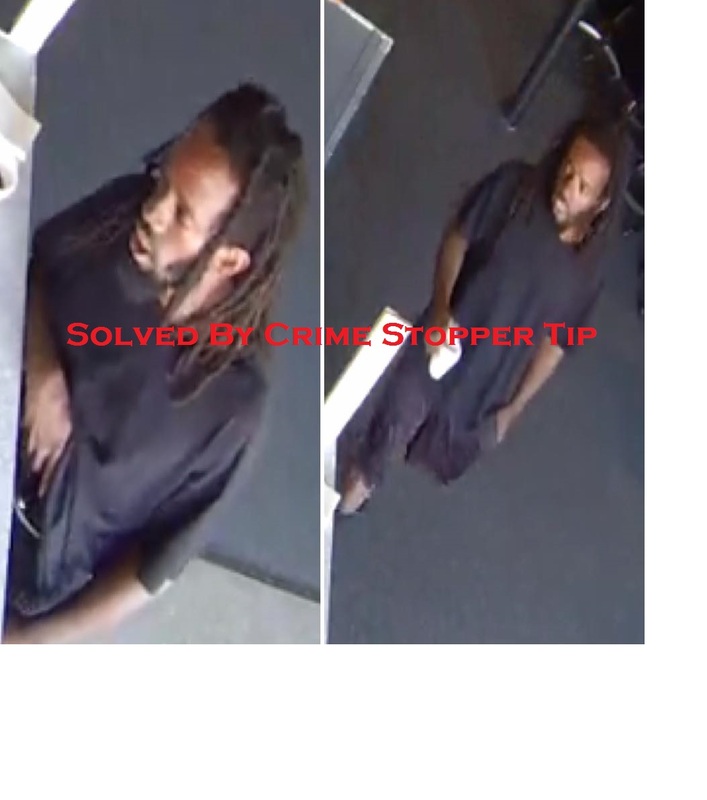 The suspect is described as a black male, 5’10” – 6’ tall, 180 pounds, 30-35 years... old, dreadlocks with protruding top teeth.